All rights reserved. Copyright material may be quoted verbatim without need for permission from or payment to the copyright holder, provided that attribution is clearly given and that the material quoted is reasonably brief in extent. 1. Marcus, et al, trans. 2001. It seemed like just a few days after Steve Jobs died that his biography came out. 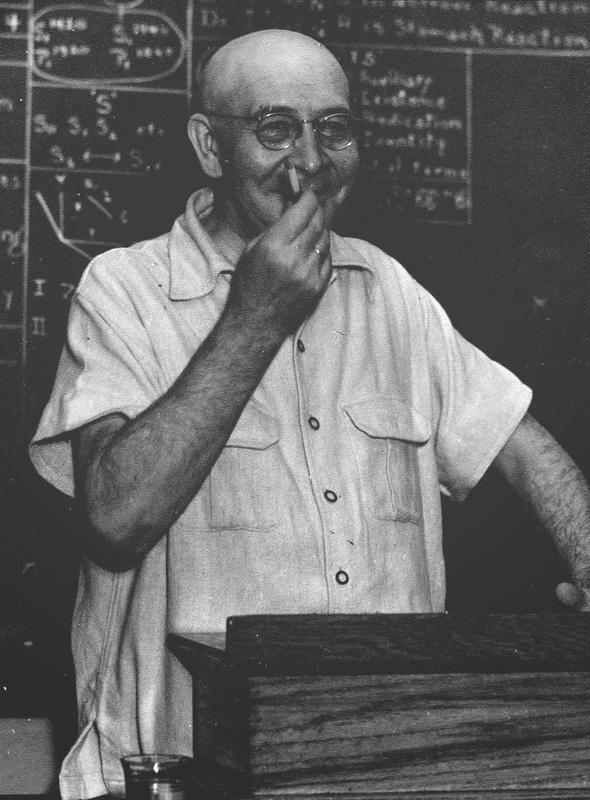 It took 61 years for Alfred Korzybski's. Why did it take so long? Interesting question, I'm not going to answer now. But if you wonder why I wrote Korzybski: A Biography, I thought it had been long enough. My friend Robert P. Pula, extraordinary scholar and teacher of korzybskian general-semantics and a former Director of the Institute of General Semantics, had been working on a biography of Korzybski for many years. After he died unexpectedly in early 2004, I felt impelled 'to pick up the torch'. What Korzybski and his co-workers developed and taught didn't exist entirely in writing, but had a significant aspect conveyed through personal contact and handed down in often informal, unspoken ways. As a long-time close friend and co-worker of Charlotte Schuchardt Read, Korzybski's confidential secretary and literary assistant, I wanted to pass on the intimate feel for Korzybski and his work that I had gotten from her and others, which I feared might otherwise get lost. Over the years, Korzybski's legacy has become distorted and obscured both by detractors and followers. I had a vital message to transmit to others and writing this comprehensive account of Korzybski's life and work became a necessity for me. I first encountered Korzybski's work in the early 1960s around the age of 13. I've studied it most of my life. I worked at the Institute of General Semantics on its education and publication staffs for several decades in its post-Korzybski but still quite korzybskian heyday in the latter half of the 20th Century. I pursued and obtained a doctoral degree in Applied Epistemology/'General Semantics'. I spent seven years researching and writing Korzybski: A Biography. In all that time, I think I managed to learn something. If you want to get to the core of what Korzybski taught, all of my time can save you a great deal of your own time. As I've said, writing this was a necessity for me. If you are at all interested in Korzybski's work, known by the confusing-to-some name "general semantics", I believe you will come to find reading it a necessity too. With this free online edition, not having a readily available copy or the money to buy one can no longer serve as an excuse for not reading it. The book will be serialized over the course of the next year with frequent postings of each new, relatively short, and easy-to-read section, and with the active link added to this Contents page. I suggest that you read the sections sequentially, starting with the Preface and Language Note. Notes will be included with each post, but I have included links to downloadable versions of the book's complete Notes and Bibliography at the end of the Table of Contents below. The downloadable Index provides a comprehensive and detailed outline of the contents, that you will find valuable in its own right. The Acknowledgements, linked at the end of the Table of Contents below, will provide useful background about the people who helped me and the sources I used in researching and writing the book. Although I'm providing this free online version of Korzybski: A Biography, please support my work by ordering your own copy and asking your library(s) to order it too. The book, in the Ingram catalog, is available from Amazon.com, Barnes and Noble, The Institute of General Semantics, and other internet bookstores internationally. You can also order it from your local brick and mortar bookstore, if you prefer. It is available in both softcover, perfect binding (ISBN 978-0-9700664-0-4) and hardcover, case binding (ISBN 978-0-9700664-2-8). 3. "You cannot fool a horse"
4. "We Were Sort of Strangers"
7. "The First and Greatest Frustration"
4. "The Relationship of the Polish Youth Toward the Clergy..."
Ch. 6 - Germany Must Be Beaten. 3. How Many Horse-Miles to New York City? 2. "You Told Me to Make You Mad." 3. "Poland Is Not a Piano." 4. "Buy Liberty Bonds and Work Like Hell." 2. "The Profiteers and How to Fight Them"
4. "Please Drop This Time-Binding." 4. "Yes, We Have No Bananas"
5. "The Brotherhood of Doctrines"
2. "Korzybski is in St. Elizabeths"
3. "Don't You See the Electron?" 3. "A theory of 'meaning' is impossible." Part VI - Words Are Not Enough! Ch. 41 - What Had Alfred Wrought? 2. "The Horror of Hitlerism"
6. "Shoot All The Mothers"
4. "Do You See Red?" 5. "Something drastic must be done about 'that cat'"
2. "Mathematics as a Way of Life"
3. "Release of Atomic Energy"
2. Where Shall We Go? 4. "The Most Appalling Scandal of the Year"
5. "I Have Done My Job"
Fund Food for Animals for Free! The Animal Rescue Site is having trouble getting enough people to click on it daily so they can meet their quota of getting FREE FOOD donated every day for abused and neglected animals. It takes less than a minute (about 15 seconds) to go to their site and click on the purple box ‘fund food for animals for free'. This doesn't cost you a thing. Their corporate sponsors/advertisers use the number of daily visits to donate food to abandoned/neglected animals in exchange for advertising. Please pass it along to people you know. Consider this blog under copyright. You may make use of this material under fair-use guidelines, but please remember to note where you got it from. Thanks. A Theory That Could Change Our Worldview ? AboveTopSecret.com: Conspiracy Theories, UFOs, Politics, and Many Other "Alternative Topics"
All The News About Kazoos? Edward Lucas - The New Cold War, etc. Venus Project - "Beyond Politics, Poverty & War"
Chapter 4 - To Rome: Part 5 - "A Roma"
Chapter 4 - To Rome: Part 3 - "Maladetto Pollaco"
Chapter 1 - "We Only Coagulate."